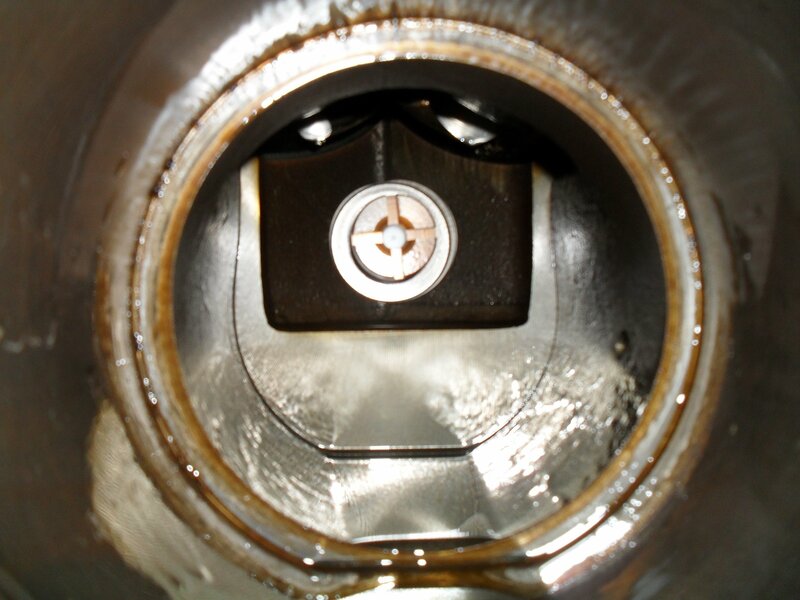 The oil loses its lubricating abilities as soon as the temperature inside the compressor casing exceeds the limit recommended by the manufacturer. Improper lubrication could result in premature wear and damage to the cylinder, bearings, and piston rings. The oil and refrigerant exposed to high temperatures undergo thermal decomposition. This reaction may accelerate the erosive wear rate of system components. Additionally, the solid particulate matter resulting from oil and refrigerant decomposition could line the internal surfaces of the compressor, control valves, and pipes, eventually causing compressor failure. The circuit breaker trips repeatedly. Because an overheated compressor draws too much power, most systems are equipped with a circuit breaker that trips under overload conditions to protect the system. A circuit breaker that keeps tripping can hinder the entire cooling process, negatively affecting refrigeration efficiency. Over the years, leading compressor manufacturers have come up with different design changes and technologies to avoid the problem of compressor overheating, particularly in industrial and commercial applications. Using the returning suction vapor to cool the motor windings. The hermetic and semi-hermetic compressors that use this design are commonly known as refrigerant-cooled compressors. Using a “water jacket”—which is wrapped around the body of the compressor—in conjunction with a water-cooled condenser. This design is typically used in certain semi-hermetic compressor models, which are typically referred to as water-cooled compressors. Ensuring that a sufficient amount of air passes across the compressor. The semi-hermetic compressors that use this design are called air-cooled compressors. Air-cooled commercial compressors generally use the discharge air from the air-cooled condenser to provide the cooling necessary for the motor. In applications where the air-cooled condenser isn’t located next to the compressor (e.g. in remote condenser applications), the system is equipped with a fan that blows the air over the compressor. Some manufacturers also equip their commercial compressors with inverter scroll technology, digital scroll technology, moduload capacity control, and variable frequency drives. 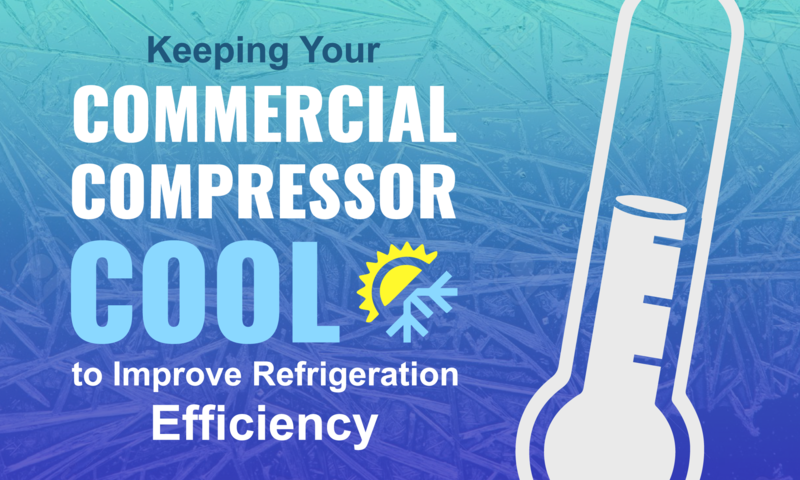 Thanks to these technologies, variable-speed compressors are able to provide various levels of output that meet different load conditions and refrigeration needs. Refrigeration compressors use condenser fans for effective heat dissipation. Thus, a malfunctioning condenser fan could be a direct cause of compressor overheating. Cold air is denser (and more compressed) than warm air. Therefore, a compressor will use less energy to compress cool air than to compress warmer air. As most commercial refrigerators operate indoors, adequately setting your HVAC system, according to outdoor temperatures and building occupancy, can improve the efficiency of your refrigeration units. An old or inadequately maintained compressor may be unable to do its job properly and can become overheated as it struggles to maintain pre-set temperatures. A failing compressor valve could also be a reason behind overheating. An undercharge of refrigerant and/or a malfunctioning metering device could result in low suction pressure and overheating problems with the compressor. Dirty condenser coils, a faulty condenser fan, an overcharge of the refrigeration system, and/or a recirculation of air back into the coils could cause high head pressure, followed by compressor overheating. A refrigeration compressor that cycles on and off frequently can become overheated. This problem may arise from a faulty capacitor, a malfunctioning metering device, and/or dirty evaporator coils. An electrical problem, such as corroded wires, loose connections, spikes in power or voltage issues, may also cause a compressor to overheat. The easiest way to prevent the aforementioned issues is to have a licensed technician inspect and maintain your refrigeration systems on a regular basis. When you hire a professional to take care of your machines, you can focus on other business operations knowing that your commercial refrigerators are in good hands.